* A heavily promoted meta-analysis claiming to demonstrate the benefits of GM crops especially in developing countries does no such thing. * It fails to separate from the GM trait the effects of confounding variables that are known to dramatically affect all measured parameters. * Commentators are presenting misleading interpretations. GRAIN report: How does the Gates Foundation spend its money to feed the world? At some point in June this year, the total amount given as grants to food and agriculture projects by the Bill and Melinda Gates Foundation surpassed the US$3 billion mark. It marked quite a milestone. From nowhere on the agricultural scene less than a decade ago, the Gates Foundation has emerged as one of the world's major donors to agricultural research and development. The Gates Foundation is arguably the biggest philanthropic venture ever. It currently holds a $40 billion endowment, made up mostly of contributions from Gates and his billionaire friend Warren Buffet. The foundation has over 1,200 staff, and has given over $30 billion in grants since its inception in 2000, $3.6 billion in 2013 alone.2 Most of the grants go to global health programmes and educational work in the US, traditionally the foundation's priority areas. But in 2006-2007, the foundation massively expanded its funding for agriculture, with the launch of the Alliance for a Green Revolution in Africa (AGRA) and a series of large grants to the international agricultural research system (CGIAR). In 2007, it spent over half a billion dollars on agricultural projects and has maintained funding at around this level. The vast majority of the foundation's agricultural grants focus on Africa. A junior business advisor for TechnoServe discusses farming techniques with a Ugandan farmer. Technoserve is the NGO receiving the most funds from the Gates Foundation. It's a US based NGO that develops “business solutions to poverty”. Running on an $80 million annual budget, it received a total of $85 million from the Gates Foundation during the last decade. Over half of these funds came through a 2007 grant “to help entrepreneurial men and women in poor rural areas of the developing world build business”. Technoserve carries out this work through partnerships with food corporations such as Cargill, Unilever, Coca Cola and Nestlé, who bring “world-class business and industry expertise” and who are offered, through the programme, "new market and sourcing opportunities”. We could find no evidence of any support from the Gates Foundation for programmes of research or technology development carried out by farmers or based on farmers' knowledge, despite the multitude of such initiatives that exist across the continent. (African farmers, after all, do continue to supply an estimated 90% of the seed used on the continent!) The foundation has consistently chosen to put its money into top down structures of knowledge generation and flow, where farmers' are mere recipients of the technologies developed in labs and sold to them by companies. “Gene drives” enable traits to spread rapidly through wild populations over many generations. The use of genetically engineered gene drives has, to date, remained largely theoretical due to technical constraints. However technological advances have meant that powerful and efficient techniques for genome engineering can be applied to enable the development of an increasing number of tools well-suited to rapidly building and testing gene drives. Because gene drives offer the prospect of manipulating many generations of a wild species, the risks have to be very carefully weighed against the potential benefits. In a paper published in the journaleLife, scientists from Havard call for public debate on gene drives. Given the potential for gene drives to alter entire wild populations and therefore ecosystems, they affirm that the development of this technology must include robust safeguards and methods of control. Another paper simultaneously published in the journal Science, written by the same authors together with others including policy experts, outlines the limitations of the technology as well as regulatory gaps that need to be first addressed. The scientists recommend that regulators adopt “a function-based approach that defines risk in terms of the ability to influence any key biological component the loss of which would be sufficient to cause harm to humans or other species of interest.” They caution that “gene drives present environmental and security challenges” and cite 10 steps to manage these risks, stressing that “It is crucial that this rapidly developing technology is evaluated before its use outside the laboratory becomes a reality”. An article on this issue is reproduced below as Item 1 while the abstract and excerpts from the two journal papers appear as Items 2 and 3, respectively. A powerful new technology could be used to “edit” the genomes of organisms in the wild, enabling researchers to block mosquitoes’ ability to spread malaria, for example, or make weeds more vulnerable to pesticides, Harvard scientists proposed Thursday. Gene drives may be capable of addressing ecological problems by altering entire populations of wild organisms, but their use has remained largely theoretical due to technical constraints. Here we consider the potential for RNA-guided gene drives based on the CRISPR nuclease Cas9 to serve as a general method for spreading altered traits through wild populations over many generations. We detail likely capabilities, discuss limitations, and provide novel precautionary strategies to control the spread of gene drives and reverse genomic changes. The ability to edit populations of sexual species would offer substantial benefits to humanity and the environment. For example, RNA-guided gene drives could potentially prevent the spread of disease, support agriculture by reversing pesticide and herbicide resistance in insects and weeds, and control damaging invasive species. However, the possibility of unwanted ecological effects and near-certainty of spread across political borders demand careful assessment of each potential application. We call for thoughtful, inclusive, and well-informed public discussions to explore the responsible use of this currently theoretical technology. Genes in sexually reproducing organisms normally have, on average, a 50% chance of being inherited, but some genes have a higher chance of being inherited. These “selfish” genes can increase in relative frequency in a population even if they reduce the odds that each organism will reproduce. Aided by technological advances, scientists are investigating how similar methods might be used to alter populations by adding, disrupting, or editing genes and to suppress populations by propagating traits that reduce reproductive capacity. Potential beneficial uses of such “gene drives” include reprogramming mosquito genomes to eliminate malaria, reversing the development of pesticide and herbicide resistance, and locally eradicating invasive species. However, drives may present environmental and security challenges as well as benefits. FINLAND, Minn. – The Organic Consumers Association (OCA) has called on Starbucks to withdraw from the Grocery Manufacturers Association (GMA), an industry lobbying group that is suing Vermont to overturn the state’s GMO labeling law, and is behind H.R. 4432, a federal bill to preempt states’ rights to pass laws requiring the labeling of genetically modified organisms (GMO) in food ingredients. The EU project GRACE, has published a first response to Testbiotech’s exposure of flaws in a rat feeding study with genetically engineered maize. In an open letter to Testbiotech, Joachim Schiemann, coordinator of the GRACE Consortium, rejected the objections raised by Testbiotech. At the same time, he neither rebutted Testbiotech’s critique nor did he address the network of vested interests around the publication. In regard to the toxicological data, he mostly repeated what was already stated in the study and therefore criticised by Testbiotech. Consequently, the GRACE Consortium cannot invalidate the evidence presented by Testbiotech. Note: In the world of seed saving and plant breeding, this is the biggest news all year. A new peer-reviewed scientific journal, Food Contamination, has just published a meta-analysis of the GM Contamination Register that was compiled over the past ten years by Genewatch and Greenpeace. Janet Cotter (Greenpeace) and Becky Price (Genewatch) were the lead compilers of this important database. Here is my take on the significance of this sort of data mapping for farmers concerned with protecting the genomic integrity and organic or biodynamic status of their land race and heirloom crop varieties. One of the most significant issues in the debate over the environmental impacts of transgenic crops is the irrefutable scientific fact posed by gene flow. 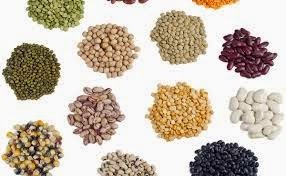 As a farmer, seed librarian, and plant breeder, I am deeply concerned with the threat of genetic contamination posed by transgenic crops to center of origin land race varieties grown across all of the indigenous First Nation territories of Mexico, the United States, and Canada. Other farmers and scientists who share this concern have been presenting evidence of this transgenic threat since 2001 when Ignacio Chapela and David Quist of the University of California-Berkeley documented introgression of transgenes in native land race populations of Zea mays (maize) in Oaxaca, Mexico. It has been a challenge to keep track of the growing number of such events in which genetic materials from GMO/GE cropsintrogress (contaminate) the native genome of land race crop varieties. 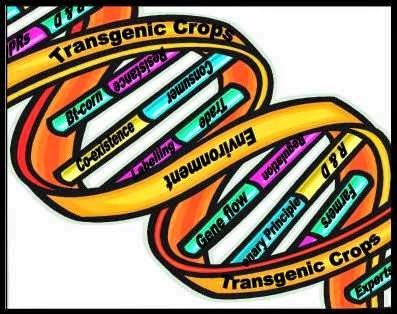 Transgenic introgression is a real, verified, direct, and immediate threat to the genomic integrity of center of origin land race varieties. "La modificación de la actual legislación equivale a avanzar aún más en la privatización de las semillas, prohibiendo la reutilización que los productores hacen de aquellas que obtienen en sus propias cosechas. De este modo se viola el derecho fundamental de los agricultores a seleccionar, mejorar e intercambiar las semillas libremente. 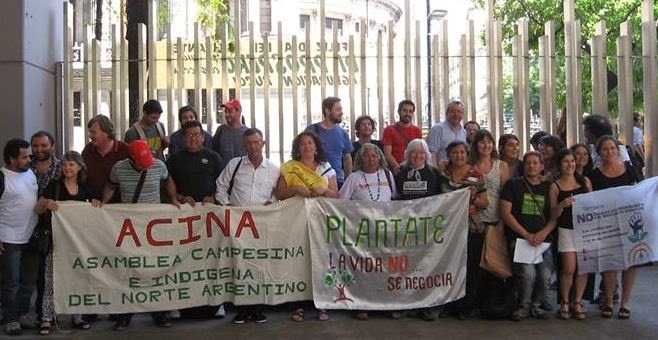 Y si las transnacionales avanzan sobre el control de las semillas, también lo harán en la monopolización del mercado y el control corporativo de los alimentos de todo el pueblo argentino." November 7, 2014 (Washington, DC)--Center for Food Safety (CFS) is today warning consumers about a new genetically engineered (GE) potato that may soon enter the food supply. Because GE foods are not required to be labeled, the new GE potato will be sold to consumers without their knowledge. The GE potato was one of two new crops approved today by the U.S. Department of Agriculture (USDA) that uses a new, little understood form of genetic engineering called RNA interference (RNAi). The other is a newlow-lignin alfalfa from Monsanto. Despite the unprecedented nature of these approvals, USDA has inexplicably failed to undertake the legally required rigorous and overarching analysis of the GE crops’ impacts or reasonably foreseeable consequences. New legislation is threatening to criminalise the ability of farmers to freely save and exchange seeds (see item 1 below). For example, Ghana is passing a new seed law because of pressure from rich governments, including that of the UK, and big corporations (see item 2 below). The new law, if passed, will restrict small-scale farmers and food producers from freely saving, exchanging and selling seeds. This will sideline traditional varieties and push farmers towards buying seeds from big business like Monsanto year after year. And small-scale farmers could even face criminalisation for saving seeds that corporations lay claim to. 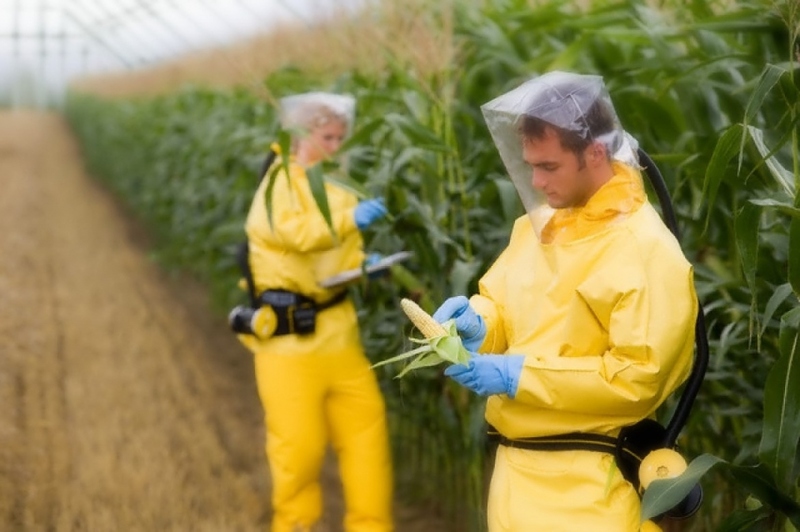 Meanwhile in Europe, the TTIP free trade deal between the US and EU threatens to flood Europe with GMOs. 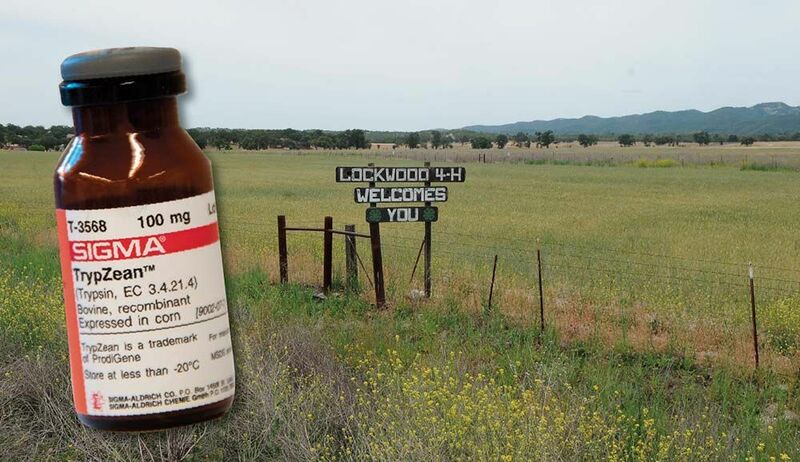 EXCERPT (item 1): Lobby[ing] from US large corporations has been intense and aimed at attacking those EU restrictions on imports of GM food, including the removal of EU requirement of labelling and traceability for GM crops and food. As a result thousands and thousands of citizens are mobilising throughout Europe and in the UK to say NO TTIP! Already the EU has had to halt part of the negotiations for three months to allow for proper democratic consultation. EXCERPT: Soil Association Policy Director Peter Melchett said, "No one could possibly believe that GM crops would benefit English farmers when they see the extraordinary costs that GM brings in unwanted contamination. Only an ideological fixation on GM, disregarding economic realities and more modern and effective crop breeding technologies… can explain why some English farming organisations and politicians continue to promote this out of date and dangerous technology." DES MOINES -- Agrochemicals giant Syngenta is facing a growing number of lawsuits challenging its release of a genetically modified corn seed that China had not approved for import, with losses to farmers estimated to be at least $1 billion. More than 50 lawsuits have been filed in 11 major corn-growing states, including Illinois, Iowa, Missouri and Nebraska with hundreds more being prepared. Some suits are from farmers represented by individual attorneys, others are class-action lawsuits representing hundreds more. Ag Commissioner claims "virtually no risk of cross-contamination"
From amid the fog of pro-GMO hype in this article, the unmistakeable truth emerges: GMO pharma corn is being planted in California and the local authorities have adopted an evidence-free belief that the crop will not get into food and feed supplies. Ironically, the accusation of "terrorism" is applied to those who would try to prevent such contamination by uprooting the crop. on 17 November 2014 . Monsanto and Dow are suing Maui County, Hawaii to block its new law banning GMO cultivation (item 1 below). In June this year, the Grocery Manufacturers Association, an industry association funded by Big Food, sued the State of Vermont for instituting its GMO labelling law (item 2). And last year, Syngenta and Bayer sued the EU for placing a limited ban on their neonicotinoid pesticides, which are implicated in the decline of bees and other beneficial insects. GMO/chemical companies suing governments is a growing trend that's likely to continue as long as company budgets far exceed the resources of government authorities – and as long as corporations continue to be given the rights of individuals with none of the responsibilities. The trend will increase exponentially if the TTIP free trade agreement between the US and the EU goes ahead as planned. Glyphosate-based herbicides are the most widely used pesticides in the world. Monsanto’s Roundup herbicide is just one of these glyphosate-based herbicides and it accounts for 20% of Monsanto’s net profits every year. Factor GMO will give a clear idea of what level of harm glyphosate-based herbicides cause to human health and will also identify whether Roundup (which includes glyphosate and other ingredients) is more harmful to human health than glyphosate on its own. OCA: Will we win in Oregon? 6634 Votes from a Win in Oregon! Don’t believe everything you read in the papers. We have not yet lost Measure 92, Oregon’s initiative to label GMOs. According to the YES on 92 campaign, we are only 6634 votes (as of 5 p.m. Wednesday, November 12) from a win. If we get to within a margin of 49.80 percent (we're currently at 49.78! ), we’ll trigger an automatic recount, paid for by the state. But here’s the thing. The only way we can win in Oregon is to contact every voter whose vote hasn’t been counted, because it was “challenged” due to a technical problem. There are enough of these “challenge” ballots—about 13,000—yet uncounted, to swing the election in our favor. We need hundreds of organizers on the ground beginning today, to reach out to voters to resolve problems with their ballots, and make sure their votes are counted. And the only way we can make that happen is to hire professional organizers, and pay travel expenses for volunteers. We are so close. There is no guarantee we will win, but a win is definitely still within reach. If we can get all of the votes counted by the deadline, 5 p.m. November 18. We know you’ve already dug deep into your pockets to help this movement. But today, we are asking again. Through our 501(c) 4 lobbying arm, we have promised to rush another $25,000 to the YES on 92 campaign to make sure we don’t lose this critical GMO labeling battle. If you can help, click here for details on how to donate online now, or by phone or mail. Thank you! In two weeks, families, friends and communities will gather around dinner tables to celebrate Thanksgiving. Leaving aside for now the nuanced political, historical and cultural complications that underlie the holiday, and taking into consideration the different meanings individuals assign to Thanksgiving, there will be one universal thread running through everyone’s celebration on Thursday, November 27: Food. For millions of Americans, unfortunately, the food on their tables will take the form of a turkey raised in filthy, crowded conditions on a diet of antibiotics and genetically engineered corn and soy, with side dishes made from potatoes and beans and other produce heavily contaminated with pesticides, accompanied by highly processed white-bread dinner rolls slathered with butter made from milk produced by cows pumped full of growth hormonesand raised in conditions no animal should be forced to endure. Thankfully, as the market for organic food grows, consumers have greater access to organic alternatives, whether they plan a traditional Thanksgiving dinner, or opt for something other than turkey, potatoes and pumpkin pie. They also have plenty of motivation: better health and nutrition; a cleaner environment; more humane treatment of animals; and a cooler planet. According to reports by the Rodale Institute, the United Nations and the Soil Association, modern, chemical-intensive industrial farming has stripped the soil’s natural ability to take carbon back out of the atmosphere, through photosynthesis, and store it where nature intended—in the soil. By returning to small-scale organic farming, say researchers at the Rodale Institute, more than 40 percent of annual greenhouse gas (GHG) emissions could be captured in the soil. And if the world’s pasture and rangelands were managed using regenerative techniques, an additional 71 percent of GHG emissions could be sequestered. This Thanksgiving, we ask you to pledge to Cook Organic, not the Planet not just on Thanksgiving, but every day. Because as consumers, we have the power to shift the market—and save the planet. Read this week’s article on why organic is the only way to go for turkey, potatoes, green beans, pumpkin, bread, dairy and wine. TAKE ACTION: Take the Cook Organic, not the Planet Pledge! About 15 years ago, consumers successfullypressured McDonald’s Corp. to stop buying New Leaf potatoes, a potato varietygenetically engineered (by Monsanto) to produce its own insecticide. 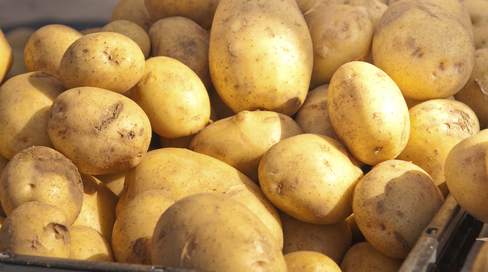 Last week, the U.S. Department of Agriculture (USDA) approved a new GMO potato. The “Innate” brand is made by the J. R. Simplot Company—the largest supplier of potatoes to McDonald’s restaurants. (The USDA alsoapproved a new genetically engineered alfalfa last week). Simplot wants consumers to believe that its new GMO potato is not only harmless, it provides consumers with several benefits. Among those benefits are the fact that the potato is bruise-resistant (which is really a benefit to commercial buyers and growers, not consumers), and that when heated to a temperature required for frying, the potato produces less asparagine, a naturally occurring amino acid that at high temperatures reacts with some sugars to oxidize into acrylamide. Acrylamide is recognized as a potential carcinogen. In other words, the maker of the Innate GMO potato says it’s not only safe (the same claim Monsanto and Dow make about their GMO corn and soy products), it’s actually better for you than a non-GMO potato. What Simplot doesn’t tell you is that the technology used to create the Innate potato—RNA interference, or RNAi—is considered by some scientists to be even more dangerous than the DNA manipulation technology used to create Roundup Ready and Bt crops. TAKE ACTION: Please Ask McDonald’s CEO Donald Thompson to reject Simplot’s “Innately Wrong” GMO Potato!